Our 'Bobby Dazzler' make-up bag is the perfect gift for your best girls. 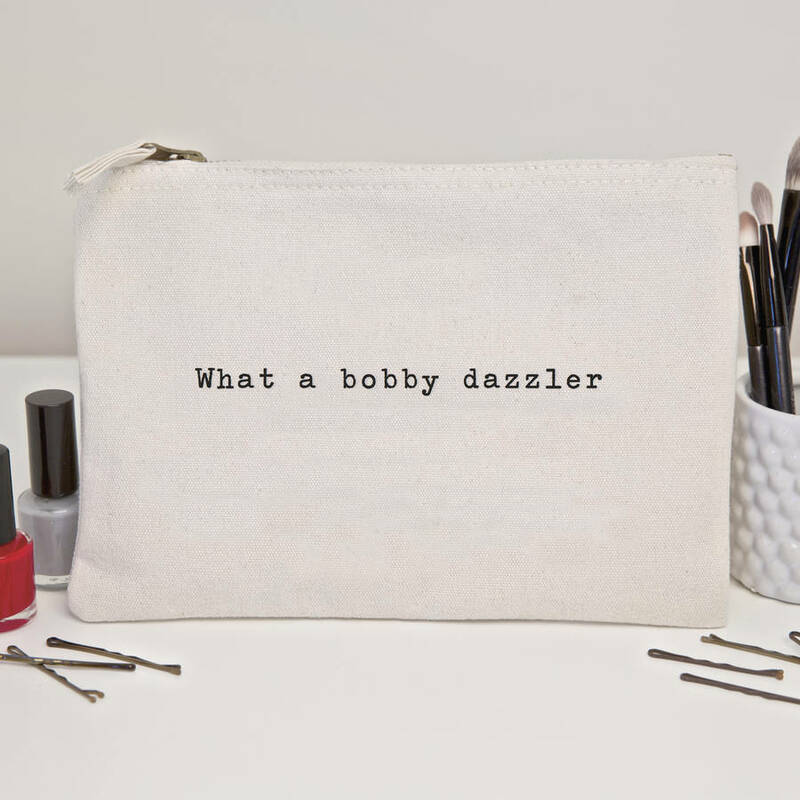 Featuring one of our most popular phrases in our signature typewriter style font these lovely natural canvas bags are just right for keeping make-up, jewellery and hair bits and bobs in one place. Our lovely pouches also make perfect clutch bags. Paired with jeans, a tee and jacket, your outfit would be perfectly assembled with a Bobby Dazzler bag. Heavyweight canvas with an antique gold zip.